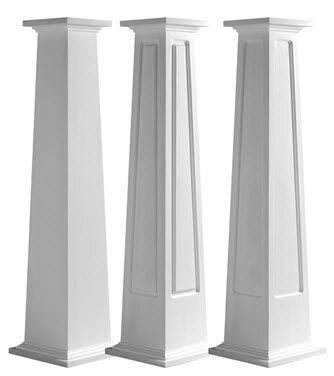 Here are examples of the different shaft styles available in square,tapered Craftsman columns. The options (from left to right) include plain panel, raised panel, and recessed panel. The cheapest option is plain panel.